Our range of products include holdtite liquid sealant and supertite excellent liquid sealant. 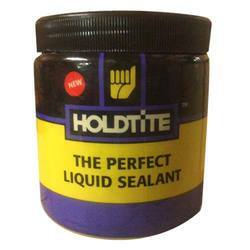 Our clients can avail from us a quality-assured range of Holdtite Liquid Sealant. These are widely demanded to be used in pipe joints in household plumbing. We offer these products in varied packaging in order to cater to the needs of our customers. Fast drying and spreads evenly Er fills gaps effectively. Pipe joints can be dismantled when required. Pipe joints are 100% leakproof. Safe for domestic plumbing & pipes can be put to use fast. Suitable for Hot Er Cold water pipe line. 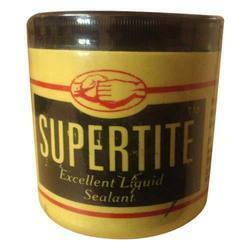 We are offering Supertite Excellent Liquid Sealant to our clients.